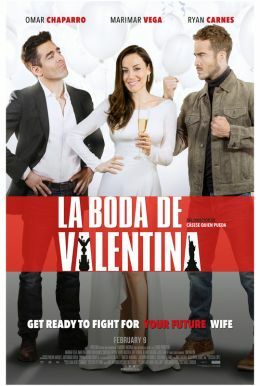 Valentina (Marimar Vega) seems to have the perfect life in New York, with a perfect job and a perfect boyfriend, Jason Tate (Ryan Carnes)—far, far away from her scandalous political family in Mexico. When Jason proposes to her and wants to go home to meet the family she has been keeping a secret, her two worlds clash. Adding to the hilarious chaos, her family brings her ex, Angel, (Omar Chaparro) into the picture and convinces Valentina to go along with a sham marriage to him in an effort to stop further negative press as her father runs for re-election. In the end, Valentina must choose where her heart belongs.